Windows Server 2016 Network Load Balancing. 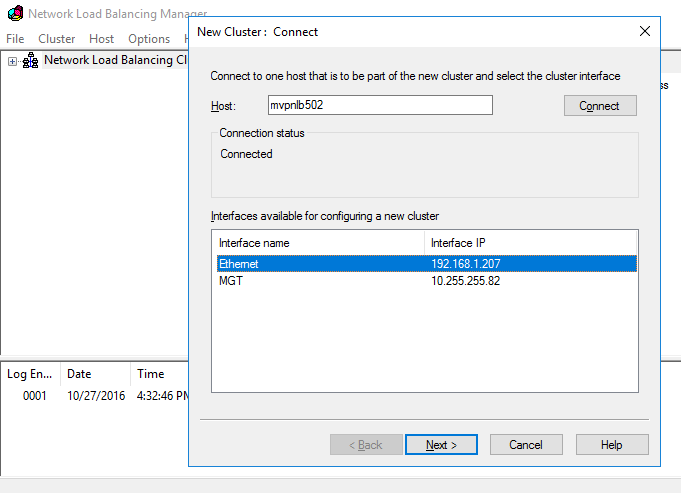 You can use Network Load Balancing to manage two or more servers as a single virtual cluster. Network Load Balancing enhances the availability and scalability of Internet server applications such as those used on web, FTP, firewall, proxy, virtual private network (VPN), and other mission-critical servers. New in Windows Server 2016 is it includes a new Azure-inspired Software Load Balancer (SLB) as a component of the Software Defined Networking (SDN) infrastructure. Use SLB instead of NLB if you are using SDN, are using non-Windows workloads, need outbound network address translation (NAT), or need Layer 3 (L3) or non-TCP based load balancing. 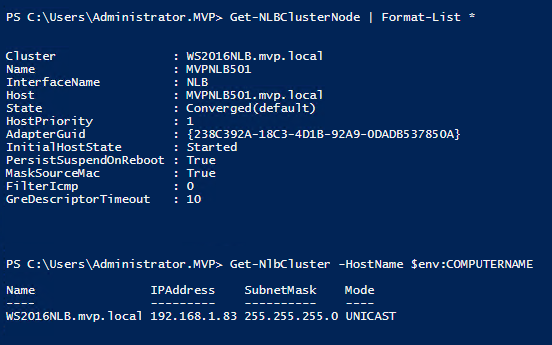 You can continue to use NLB with Windows Server 2016 for non-SDN deployments. Software Defined Networking (SDN) provides a method to centrally configure and manage physical and virtual network devices such as routers, switches, and gateways in your datacenter. Virtual network elements such as Hyper-V Virtual Switch, Hyper-V Network Virtualization, and Windows Server Gateway are designed to be integral elements of your software defined networking infrastructure. While you can still use your existing physical switches, routers, and other hardware devices, you can achieve deeper integration between the virtual network and the physical network if these devices are designed for compatibility with software defined networking. Network Load Balancing is not nic teaming as nic teaming is on the same host and Network Load Balancing is combining all nodes to one VIP Virtual IP address. 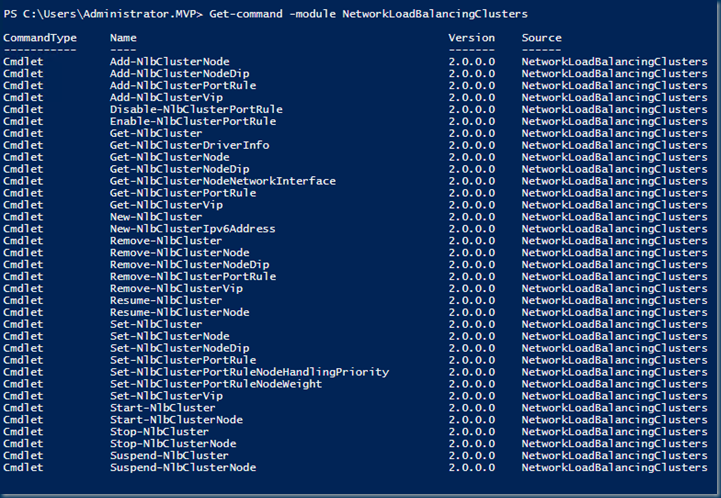 First we install the NLB feature on each node. Rename-NetAdapter -Name "Ethernet" -NewName "NLB"
then I removed all the default rules why would you NLB all the ports ? As I added the -Affinity Single option keep in mind that your application support this option. Running websites parts from different servers is sometimes a pain for the developer. The Affinity parameter is applicable only for the Multiple hosts filtering mode. The None option specifies that multiple connections from the same client IP address can be handled by different cluster hosts (there is no client affinity). To allow Network Load Balancing to properly handle IP fragments, you should avoid using None when selecting UDP or Both for your protocol setting. The Single option specifies that NLB should direct multiple requests from the same client IP address to the same cluster host. This is the default setting for affinity. You can optionally modify the NLB client affinity to direct all client requests from a TCP/IP Class C address range (instead of a single IP address) to a single cluster host by enabling the Network option instead of the Single option. This feature ensures that clients that use multiple proxy servers to access the cluster can have their TCP connections directed to the same cluster host. The Network option specifies that NLB direct multiple requests from the same TCP/IP Class C address range to the same cluster host. Enabling Network affinity instead of Single affinity ensures that clients that use multiple proxy servers to access the cluster have their TCP connections directed to the same cluster host. The use of multiple proxy servers at the client’s site causes requests from a single client to appear to originate from different computers. Assuming that all of the client’s proxy servers are located within the same address range, Network affinity ensures that client sessions are properly handled. If you do not need this capability, use Single affinity to maximize scaled performance. 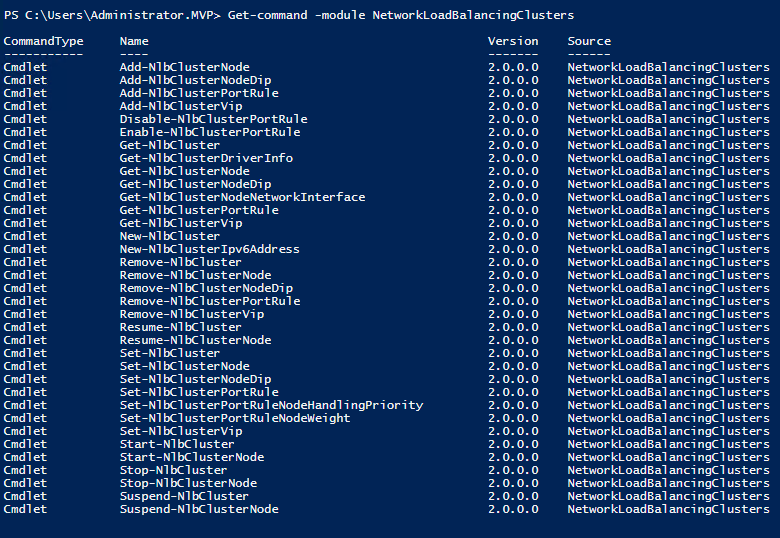 adding a second node is easy in Powershell or do this in the GUI add node and follow the steps. and as you can see if you don’t rename all the nic adapters it looks a bit messy. If you ever need to troubleshoot then it is easy to get NLB traffic and or other network traffic. Now that the NLB cluster is ready we can use it for say a webserver. make sure the DNS Record is created in the DNS and If you are using multiple Cluster Virtual IP’s make sure they are also in the DNS. I always use an IP for the cluster and for the websites I use separate IP’s and all sites running on different IP’s / NLB VIP If I need to change some thing on the webserver it has no impact on all the other servers. I also Added a few more NLB nodes. that has already a configured website. Go to the IIS manager and check the website bindings, default it is listening on all IP but this is not the behavior that I want I want a NLB. So we need to set the website on the NLB IP configured earlier. When Having multiple IP on the NLB pick the right IP! Remember this you need to do this on all the Webservers! For creating a NLB farm you can use my script that is posted in the TechNet gallery.